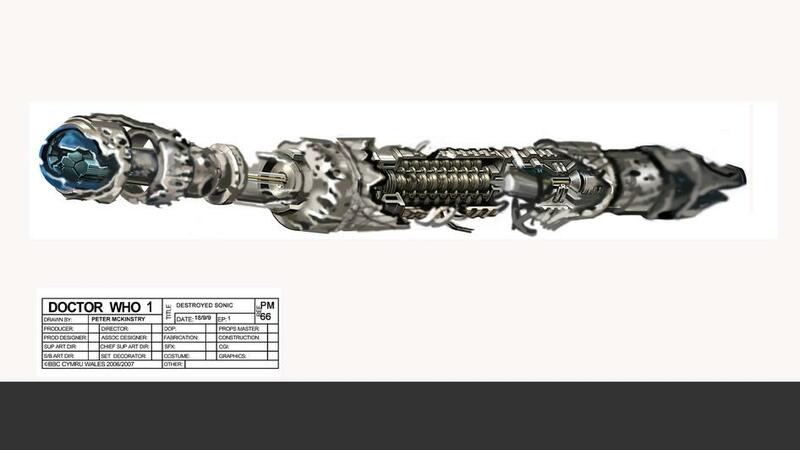 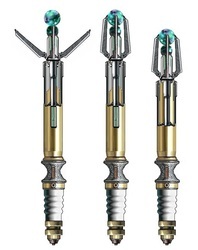 Another recognizable piece of Time Lord technology is the famous Sonic Screwdriver, like the TARDIS this piece of equipment has gone through change after change, above are four incarnation’s of this gadget. 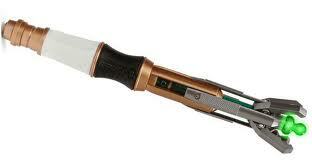 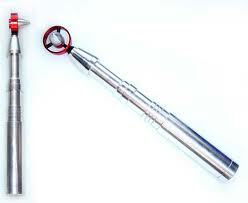 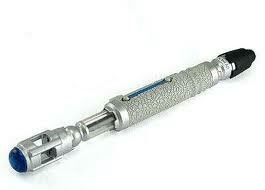 The Sonic Screwdriver uses a 'telepathic interface' so the user just as to think of what action the Screwdriver performs. Desite this it also as numerous settings such as 2428D to re-attach cut barbed wire and setting 15B which helped triangulate the source of the Cyberman ghosts. 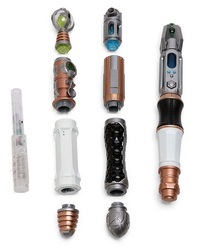 The Sonic Screwdriver has been a piece of Doctor Who history since the second series of the show, where the Doctor used it as a sort of multipurpose tool to unlock doors and other locks, as well as a variety of other uses. The Sonic Screwdriver has many uses, such as opening locks, repairing objects, detecting radio and other frequency transmissions, creating fire and amplifying sound waves and most notably of all, being used as a normal screwdriver. 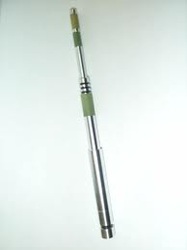 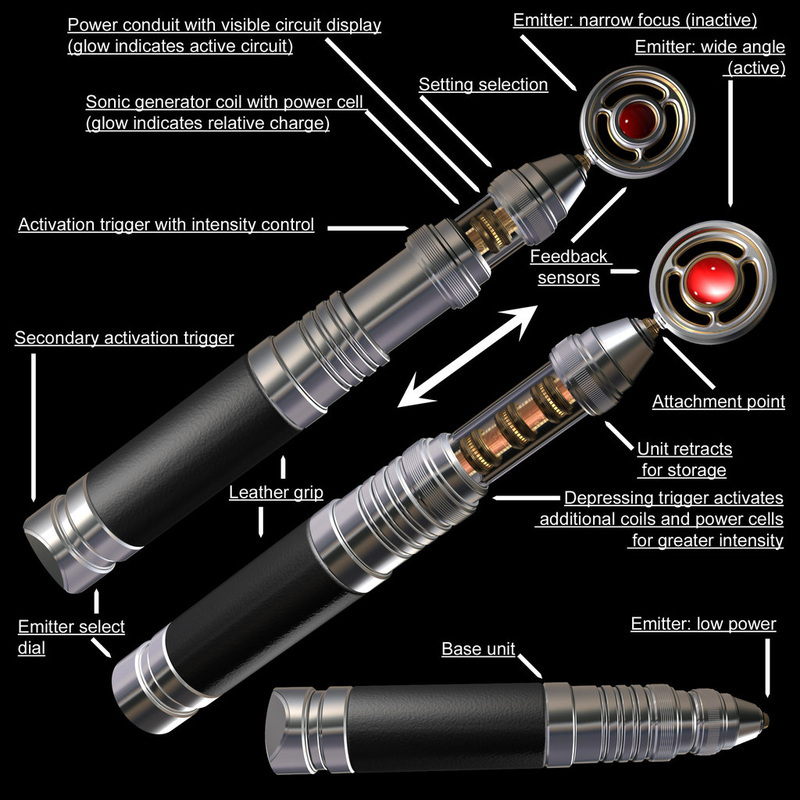 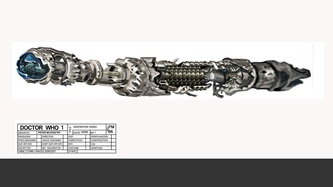 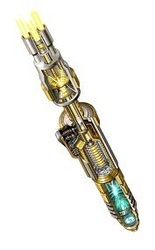 The origins of the Sonic Screwdriver have never been properly addressed in either the TV series or any other media, though during the TV series ‘The Empty Child’ another character, Captain Jack Harkness uses a ‘Sonic Disrupter’ that appears to have the same uses as the Sonic Screwdriver, and more than likely share a common origin. 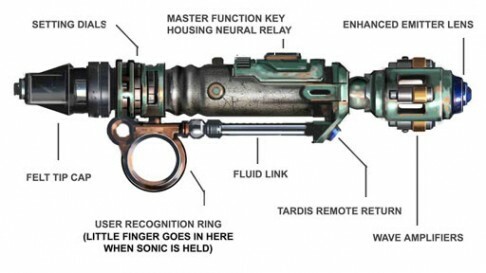 The Sonic Disrupter was said to have come from ‘The Weapon Factories of Villengard’, which The Doctor later claims to have destroyed. 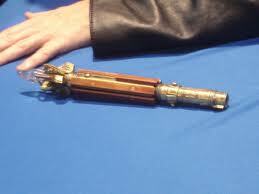 It is possible that The Doctor picked up his Sonic Screwdriver there during this adventure, though this has never been shown on TV or any other media. 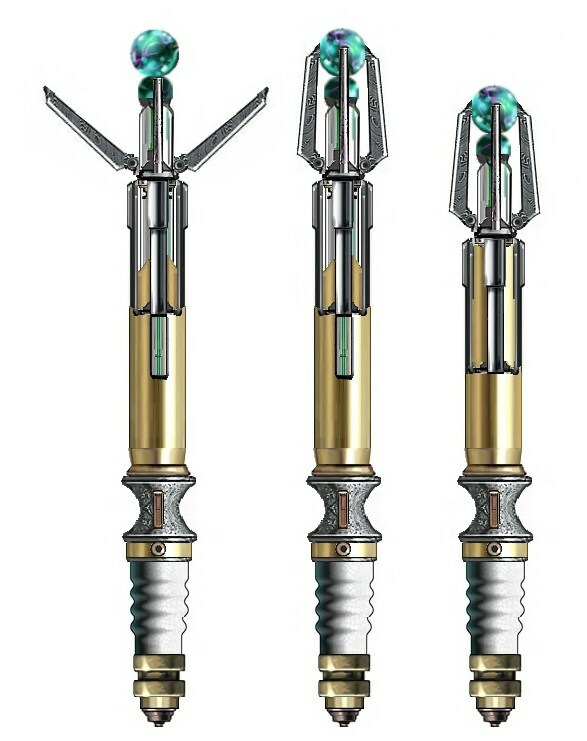 With the TARDIS trapped on Earth in a Trans-temporal schism, the Doctor find himself at the centre of four time zones. 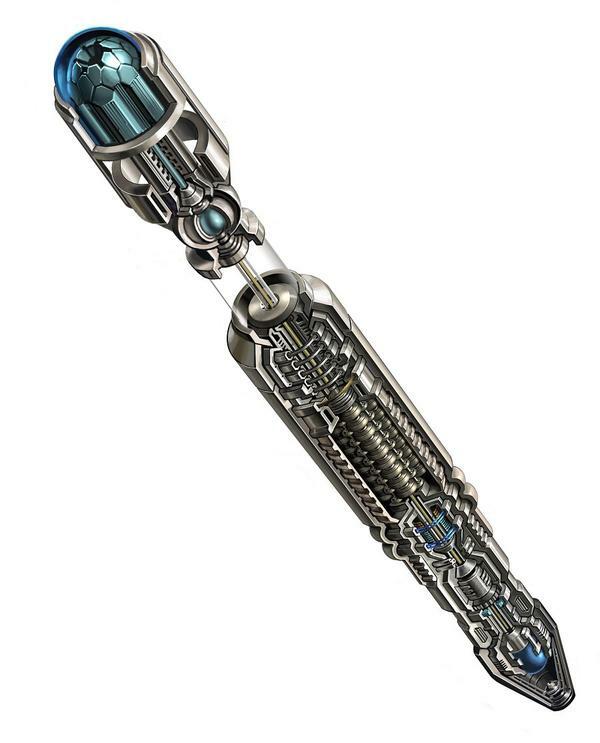 As with each previous time the TARDIS generates a new sonic screwdriver for the Doctor but this time it is created in the style of each time zone, Elizabethan, Victorian, Present Day and Future London. 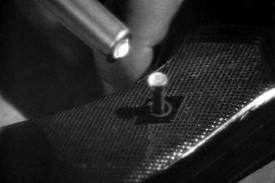 With additional features including a ‘wood’ setting, the Doctor must try and free the TARDIS before time runs out. 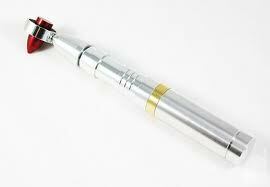 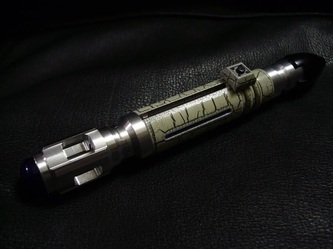 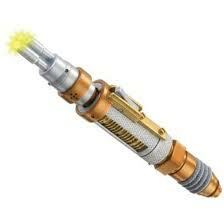 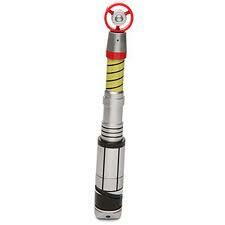 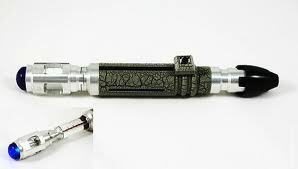 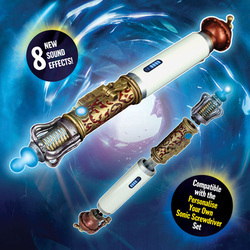 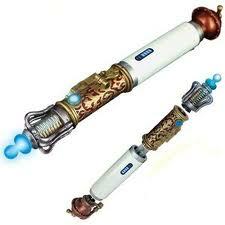 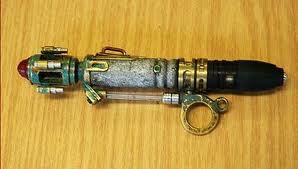 Replica sonic screwdriver with 8 new sound effects. Also compatible with your Personalise Your Own Sonic Screwdriver Set so you can mix and match the pieces in different ways to create your own version. 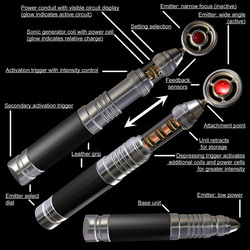 Requires 3 x 1.5V L1154 Batteries included.